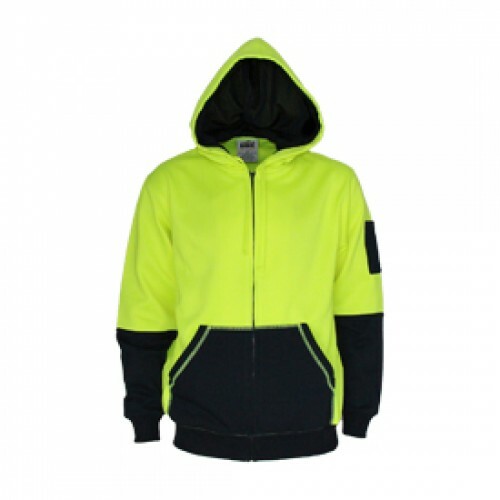 Fabric: 300gsm Hi Vis is 100% polyester. The navy is 65/35% poly/cotton. Premium quality, Full zip front. 2 Front stylish welt pockets with contrast Hivis stitching, navy sleeve pen pocket. safety drawstring stays inside of garment to prevent catching.